SolidWorks is a computer-aided design (CAD) and computer-aided engineering (CAE) program first run and published by Dassault Systems back in 1993. It’s a solid modeler program and runs on a parametric approach. 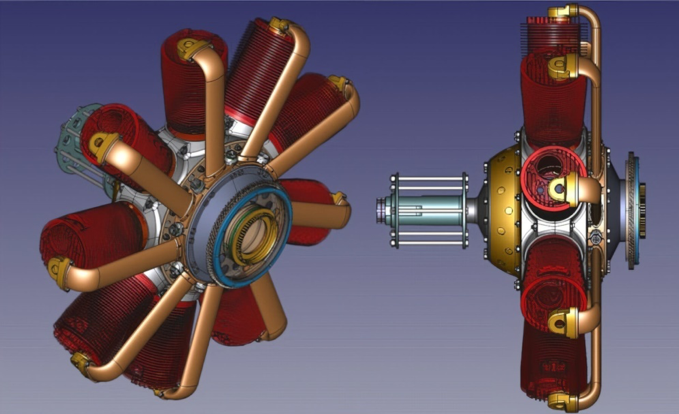 The whole modeling technology of SolidWorks relies on three key program features – parameters, design intent, and features. Parameters refer to rules or programmed constraints with customizable values that determine the look and shape of a model. They can be numerical (lengths, diameters) or geometric (parallel, perpendicular, tangent, etc.) in nature. Design intent refers to how an element responds to changes and updates to the whole model based on what the original designer intended that element to be. An example of this is the relative position of a hole in the overall body of a model wherein regardless of any changes to the dimensions of the model, that hole stays in its relative position (e.g. on top, at the side, at the bottom, etc.). Features refer to the elementary components of the individual parts of the model. They are comprised of shape-based building blocks such as extruded holes, slots, and solid masses, as well as operation-based features such as chamfers, fillets, drafts, etc. Creating a basic model in SolidWorks usually involves some relatively straight-forward processes. It starts with a 2D sketch consisting of basic geometric elements such as points, lines, and splines. Dimensions are then added to the geometry to specify locations and sizes. Afterwards, relations are then added to define the attributes such as parallelism, perpendicularity, concentricity, and the like to the geometry modeled. Due to the parametric nature of SolidWorks, the dimensions and the relations in the model are the attributes that define the geometry; editing them changes the model and how the geometry in the model interact with each other. For those interested in getting into SolidWorks but aren’t sure of spending money first on the software, there are ways of availing of a legitimate copy of a SolidWorks free trial. In fact, you can actually get a free trial of SolidWorks Premium through the SolidWorks website, and you don’t even have to install or download any large files to do it since it’s entirely web-based. This SolidWorks free trial can be used by either experience 3D modelers who are looking to try their hand at a new modeling software or for complete modeling novices who want to try out SolidWorks and see if they can build up their experience using the software. With SolidWorks having tools for simulation, design validation, technical communication, and many more, the SolidWorks free trial would be a good option for anyone looking for a software that can handle all those things. Create an account on MySolidWorks and log in. Once you’ve signed in, you’ll be prompted to select a language before you can start you SolidWorks Free Trial. Hit the Launch button and accept the agreement prompts. This SolidWorks free trial is web-based, so after accepting the agreements and launching the software, SolidWorks 2018 will simply load up in your browser. After SolidWorks 2018 loads up, you can start working and modeling by choosing to create a new part, drawing, or assembly. If it’s your first time using the program, there are some extra steps you’ll have to go through. You will see a prompt asking you to choose initial Units and Dimension Standard settings that will be remembered and used a template for any future uses of the SolidWorks free trial. Once you’ve started using the program, you’ll find that if you want to familiarize yourself with how to work SolidWorks, then the help menu is a good place to explore. In it is the SolidWorks Tutorials tab with instructions that can help you get used to the basic commands and processes of the SolidWorks free trial. As with all developer software, SolidWorks regularly releases updates and new versions of their software with new features and changes every time. To have an idea about what’s new and latest in the SolidWorks free trial version that you’re using, the help menu also has a “What’s New” tab where you can see the changes and improvements in your product version. One thing of note is that if you avail of the SolidWorks free trial by registering and logging in, you can also try out the Driveworks design automation software. It’s a useful software that automates the generation of drawings for SolidWorks models. A supplementary but nonetheless useful feature of having a My SolidWorks account is that you get to watch hundreds of SolidWorks tutorial videos for free. You can access this by clicking on the Training tab and clicking the Catalog option from the drop-down menu. Do note that although these tutorial videos are useful, nothing can really replace the experience and lessons you can get from professionally recognized trainers and instructors for SolidWorks. The web-based version of the SolidWorks free trial is convenient for some since there’s no download and installation process that needs to be done, but what if you wanted a full version that you can use offline? Knowing that SolidWorks is a professional and industrial-grade CAD and modeling software for engineers and designers, it’s not a surprise that a fully functional version can’t be free. Luckily, aside from the web-based option discussed earlier, there are other ways to procure a fully functioning copy of a SolidWorks free trial. Dassault Systems, the company behind the publishing of all the different SolidWorks programs, can choose to send out free trial versions to users of their own choosing; you’ll have to have a good reason for being someone they can hand it out to or you’re probably stuck with the web-based version until you can shell out the money to buy the full version later on. They tend to keep a close watch on who they want testing out their software so you won’t be able to find any direct download links or pages on their website. You could however request for a full SolidWorks free trial version from the company itself using this link and filling out their forms for request. If they’re willing to send you a copy, a sales representative will contact you through email. For the student users out there, you might be better off requesting a SolidWorks free trial version from the company that is specifically geared for those still studying. This educational version of SolidWorks has a free trial that must be requested for download on this page. If you do have a few bucks to spare, the educational version of SolidWorks is actually pretty affordable at only $150. SolidWorks at its full-price version will set most users back around $4,000. If that just seems too much for you and the free trial version of the software just won’t cut it anymore, there are some alternative programs that are free and offer features that, although not as comprehensive as paid CAD programs like SolidWorks, are still pretty notable. The more famous and reliable of these programs are OnShape, LibreCAD, and FreeCAD . OnShape is a professional-grade CAD suite of programs that’s suited for engineers. It aims to take all the processes included in the entire engineering workflow and integrate it into a single program. It’s also worth noting that if you’re looking for a free alternative program to SolidWorks, OnShape would be a good option since it was developed by a team that was comprised of previous staff members from SolidWorks. 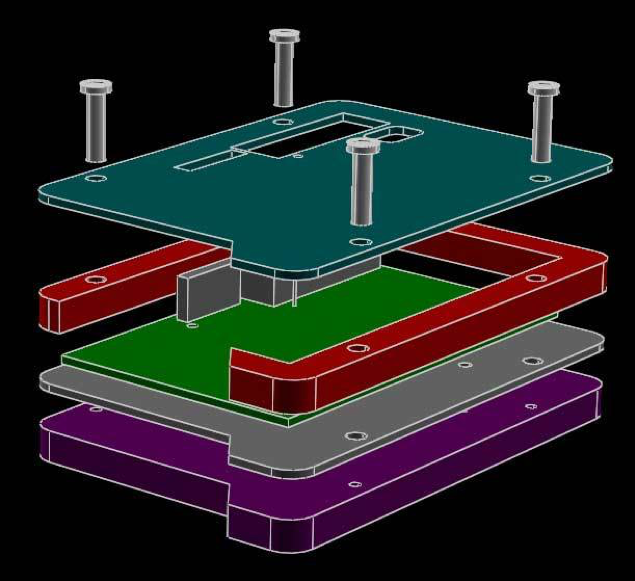 Overall, it just has a fairly complete set of features that lets you really take advantage of the full potential of modeling parametrically and being able to do computer simulations of assemblies and parts of designs. A nice little plus is that OnShape is a CAD software that can be used on the cloud. As such, collaborating on projects is a breeze with Onshape. The program lets you work on ten projects at the same time with no cost. The last solid contender as a free alternative to the SolidWorks free trial is SolveSpace. SolveSpace is a free-to-use CAD software that deals with both 2D and 3D models. 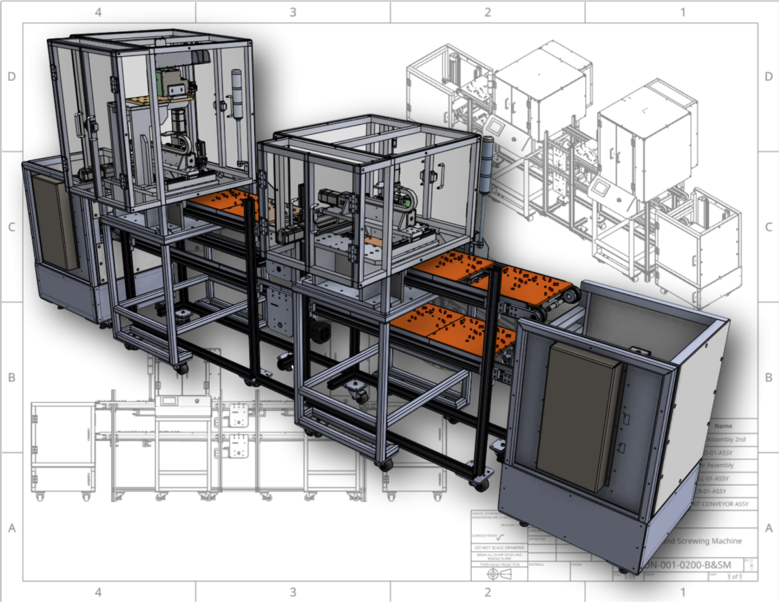 Like SolidWorks, SolveSpace deals in parametric modeling and can create models that are convenient and easy to modify. Even as a free software, the capabilities of SolveSpace to accurately depict simulations such as product blockages are quiet impressive. Overall, it’s a solid contender as a free CAD tool. FreeCAD is one of the more well-known open-source 3D modelers out there. It’s parametric and is suited for designing products or constructs of almost any size. Due to its parametric nature, you can model and modify a design by simply taking a look at your model attributes and history and change your choice of parameters. In terms of usability, FreeCAD is multiplatform. That is, it can work on Windows, Mac, and Linux. It imports and exports many different file formats such as DAE, IFC, STEP, STL, IGES, OBJ, DXF, and many others. As a program, it can readily be used by product designers, mechanical engineers, and even architects. Trevor Holloway is a mechanical engineer and CAD expert. He is certified in SolidWorks at the expert level (CSWE), and has years of experience in designing products for manufacture. Trevor Holloway is driven by turning ideas into reality through engineering. He consistently seeks to push the limits of his skills and expand his knowledge base with the intent to innovate and solve problems. He enjoys viewing the engineering process holistically, from design to implementation, and always seeks to take a hands on approach. He is certified by SolidWorks as a SolidWorks Experts (CSWE). Trevor Holloway is a mechanical engineer and CAD expert. He is certified in SolidWorks at the expert level (CSWE), and has years of experience in designing products for manufacture. Trevor Holloway is driven by turning ideas into reality through engineering. He consistently seeks to push the limits of his skills and expand his knowledge base with the intent to innovate and solve problems. He enjoys viewing the engineering process holistically, from design to implementation, and always seeks to take a hands on approach. He is certified by SolidWorks as a SolidWorks Experts (CSWE).